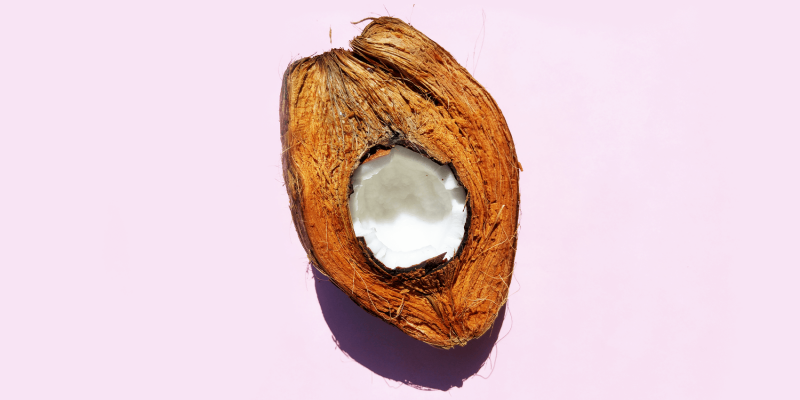 Well luckily you won’t get fat from eating a lot of coconut, but the real question is: is the coconut actually a nut? The white coconut meat is the seed of the coconut and it is attached to its ovary wall, the coconut shell. This is the part that they use to make those beautiful coconut bowls. Once the coconut becomes very mature, the seed inside starts to sprout. At this stage the coconut has already fallen from the tree a while ago. It looks very dry from the outside. Inside of the coconut grows a spongy ball. This is sprouted coconut. If you let it grow and don’t eat it, it can grow into a green shoot; the start of a new coconut tree! So unlike its name, the coconut isn’t a nut. And while it does contain a seed, the coconut itself isn’t a seed. The coconut is a fruit and forms part of the drupe family. A drupe is a fruit with a fleshy external part with a pit and seed inside. Mangoes, olives, plums, almonds, peaches and cherries are some of the other drupes. When you buy a coconut somewhere where they don’t grow, you only buy the inside part of it; the endocarp. The whole coconut however is much bigger and heavier as it consists of two more layers. They always remove the exocarp and mesocarp before they export the coconuts from their country of origin. Otherwise it would be much more expensive and impractical to transport the whole coconut. And even when you buy them at a local market in their country of origin, you usually just buy the endocarp. There you go, a coconut is a fruit, to be more exact a drupe. What about tree nut allergies? Nut trees are considered to be major allergens. 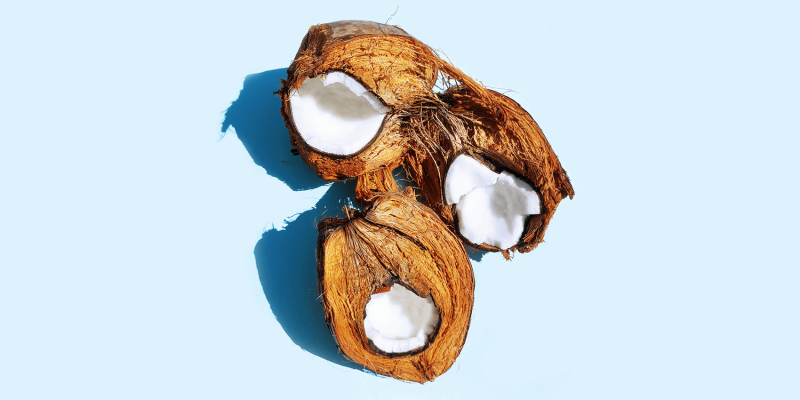 Although coconuts are not nuts, the Food and Drug Administration in the United States has decided to include them in their list of nut trees, which is very confusing. Coconuts are not on the European Union’s list of major food allergens and also in Australia and new Zealand, they are not on the list of nut trees. Coconut allergies are very rare, but they can occur. If you find that you are sensitive to coconut, discuss this with your medical doctor. Make sure to carefully read all product labels of both food and cosmetics, until you know more about a possible coconut allergy.